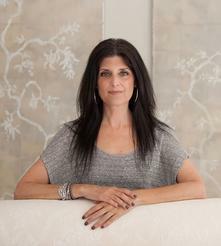 We've always known our soft & luxurious products were fit for a prince or princess, and now we know for certain. 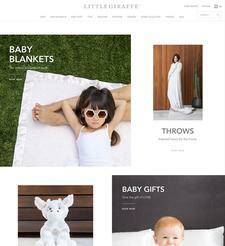 Both USA Today and Vanity Fair have featured Little Giraffe as perfect gifts for Princess Charlotte. 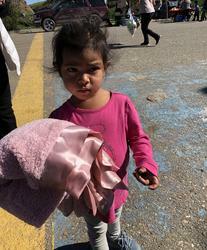 Little Giraffe is a part of USA Today's Collector's Special Edition "Welcome Princess Charlotte." 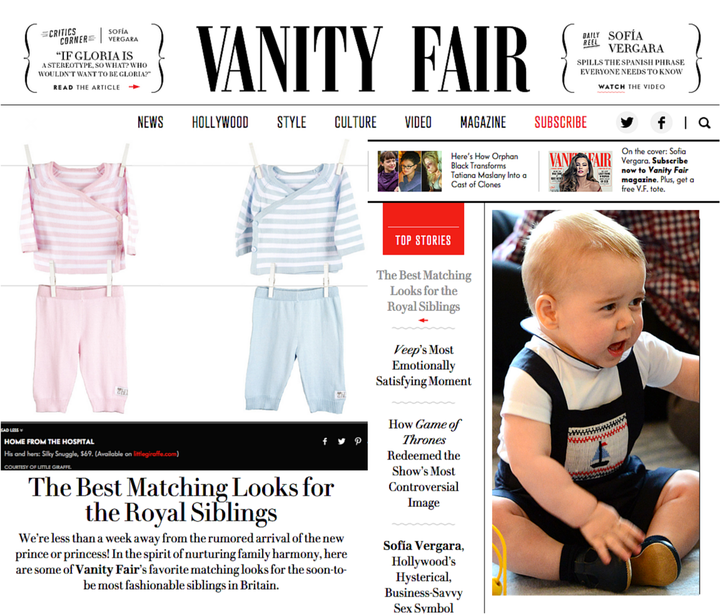 And our favorite fashion & lifestyle magazine—Vanity Fair—has chosen our Silky Snuggle sets as the perfect matching outfits for the Royal siblings. Take a look at our entire Royal Baby Collectionso you can outfit your little one like royalty! 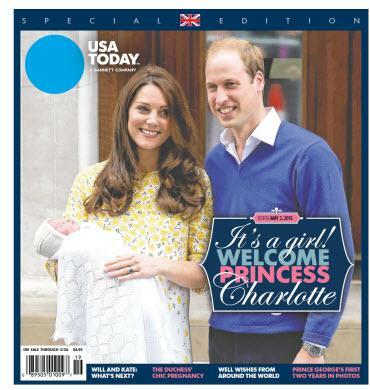 USA Today Royal Baby - Special Edition!